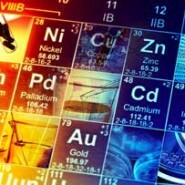 Kernow Coatings, the global leader in the development of digitally printable synthetic substrates, has expanded its range of HP Indigo printable synthetic papers with five new RIT certified products. 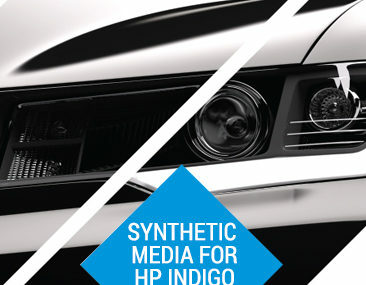 The latest additions to the HP Indigo material lineup include vivid red, yellow, orange, blue, and green. These new products are engineered for the HP Indigo utilizing Kernow’s proprietary Cobalt Coating Technology to eliminate static and improve print performance. KernowPrint Vivids for HP Indigo are the first of their kind material designed to help customers expand their application range through the creative use of new materials. 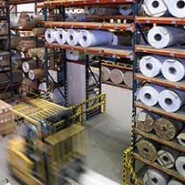 The sheets are manufactured to be water-proof, tear resistant, and static controlled using Kernow’s in-house developed Cobalt Coating Technology. This release of yellow, red, orange, green, and blue addresses some of the most commonly requested colours and each of the KernowPrint Vivids for HP Indigo provides users with the ability to create eye-catching prints quickly and easily. These synthetics, combined with the white ink system of the HP Indigo, opens the door to the rapid production of very bright signage, POP displays, brand merchandising opportunities, and specialty promotion pieces. For end users and brand owners, KernowPrint Vivids offer an extremely durable way to hit target colours and help call attention to advertising and tags. 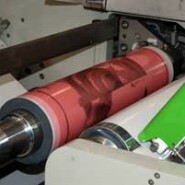 By incorporating the color into the sheet itself, printers are able to hit extremely consistent, repeatable results without the risk of colours degrading over time through ink scratching, abrasion and moisture. For customers utilising multiple print locations, the use of KernowPrint Vivids allows for brand consistency across multiple printers and machine types.